Senate Democrats may fear they don't have enough votes to reconfirm the Fed chief, but Simon Johnson says before they think about voting, Ben Bernanke must explain whether he supports the president's newly tough stance on banks. In the scramble to announce a major policy change on big banks ahead of Wall Street bonus season, the White House seems to have lost track of an awkward matter: the pending reconfirmation of Ben Bernanke as chairman of the Federal Reserve Board. On Thursday, with Paul Volcker at his side, President Obama finally announced that he is persuaded our largest banks have become a menace and must be defanged. While all the details are not yet clear, most sensible analysts—at least those not paid by Wall Street—breathed a huge sigh of relief. Now that the administration and the president himself have recognized the danger inherent in big banks and defined a new reality, what is Ben Bernanke’s view? The Senate was originally expected to vote on the Bernanke confirmation Friday, but the strenuous efforts of several senators, including most notably Bernie Sanders (I-VT), pushed the vote back to at least the middle of next week. At this stage, in the face of Sanders’ “hold” on the nomination, the leadership needs 60 votes to reconfirm Bernanke, and while support is faltering, they may still have the necessary numbers. But an important procedural point rears its head. As chairman of the Fed, Bernanke’s view on the new Obama banking proposals is of paramount importance. In almost every conceivable scenario for financial-sector reform, Bernanke would have the power either to make the regulation of scale and scope meaningless—“do a Greenspan”—or lead the way toward implementing sensible constraints on finance, as did Marriner Eccles, the legendary chairman of the Fed under FDR. • Roger Martin: Obama’s Real Wall Street SchemeBernanke was frank and open at his hearing at the end of 2009—and quite unconvincing on why “too big to fail” banks did not need to be broken up into smaller, safer pieces. But that was then, and it must be said that as recently as last week, Chairman Bernanke was not discernibly out of step with the administration. There is simply no way for the Senate to know this, unless Senator Christopher Dodd reconvenes the Senate Banking Committee for another hearing. They could, perhaps, ask Bernanke to answer some written questions, but given the centrality of this issue and the justifiable depth of concern about Bernanke’s suitability more generally, such a move does not seem likely to build support. The Democratic leadership could bludgeon the reconfirmation through the Senate, but would that really fit the president’s new agenda? After all, if the real goal—starting Thursday at lunchtime—is to run hard against the big banks in the November midterms and beyond, why would the Democrats want to put in place a Fed chairman who could be potentially uncooperative on the big issue of the day? The chairman of the Fed is independent of the executive and legislative branches on a day-to-day basis, but still subject to substantive oversight on a periodic basis. This is an important tradition that has served us well. In this oversight structure, the periodic reappointment of the Federal Reserve Board chairman is a perhaps the most critical piece. As we look back on the fantasy-turned-disaster of the Greenspan years, it is it evident that inadequate due diligence—bordering on senatorial delusion—during his various reappointment rounds played a major role in creating a dangerous cult of personality. Ben Bernanke did a good job in regard to rescuing the financial system after September 2008, but he may have cut a lot of corners and has resisted appropriate after-action disclosure. He was also deeply asleep at the wheel during the buildup of vulnerabilities in and around subprime mortgages from 2002; this record does not inspire confidence. But the real reason to worry about his continuing as Fed chairman is forward looking. The financial markets looked carefully at his oral and written testimony before the Senate Banking Committee through December and yawned loudly—there was no credible indication that Bernanke would, in the future, refuse to bail out “too big to fail” institutions, and this you can see clearly in the prices people pay to insure against default by mega-banks (it’s cheap; meaning everyone expects bailouts). Central bankers do most of their work through communicating effectively with the markets. If Bernanke means to be tough on reckless, risk-taking huge banks going forward, he has failed—despite every opportunity—to make this clear. If he does not mean to be tough, he is now seriously out of step with the president and the majority party in Congress—and his reconfirmation would be an embarrassment and major liability not just in the midterm elections, but also in President Obama’s run for reelection. We should not, however, rush to judgment. Ben Bernanke deserves another hearing that focuses exclusively on his views on what can and should be done with “too big to fail” banks. The facts have changed, so perhaps his views have changed. No senator planning to seek reelection should feel comfortable—from any perspective—with voting for his confirmation without such a hearing. 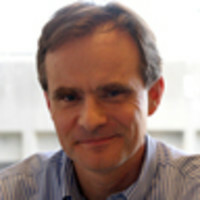 Simon Johnson is a professor at MIT’s Sloan School of Management, and a senior fellow at the Peterson Institute for International Economics.